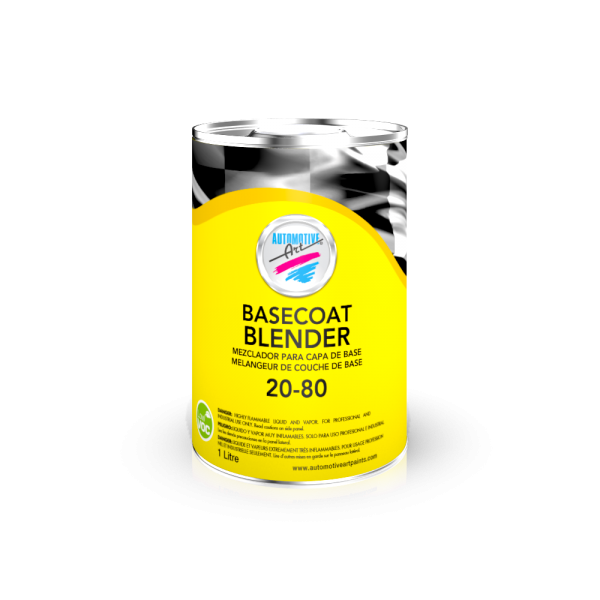 Automotive Art Basecoat Blender 20-80 is the ultimate solution for color blending spot repair edges of basecoat into an adjacent finish. Automotive Art Fade-Out Thinner 20-30 is specially developed to fade out (or dissolve) overspray on the edge of spot repairs. This allows clear coats or our Motocryl single stage color to be easily blended into the original paintwork. Automotive Art Gloss Converter 20-60 can be added to any of Automotive Art’s Base Coat Systems to convert them to a 1K quick drying gloss finish. Painters can easily refinish areas such as under hoods, bonnets, trucks etc., without having to spray a clear coat over the base coat. This is especially useful for sign painting, furniture manufacturers, or other applications where 1K finishes are required. Allows you to target the sign painting and furniture refinishing market. The finish will be approximately 70% of the gloss of the 2K Clear Coat. Automotive Art Matting Agent 20-55 is used to matte any of Automotive Art’s 2:1 Clear Coats or Motocryl paint, allowing for either a full or semi matte finish. Furthermore, painters can easily create matte finishes, without having to purchase additional specialized paints. Having a clean surface is critical to any paint refinish. Automotive Art Wax & Grease Remover 20-95 ensures the removal of dirt, road tar, grease, wax and oil from any surface without leaving a film residue. This is the most important first step to a perfect paint job. 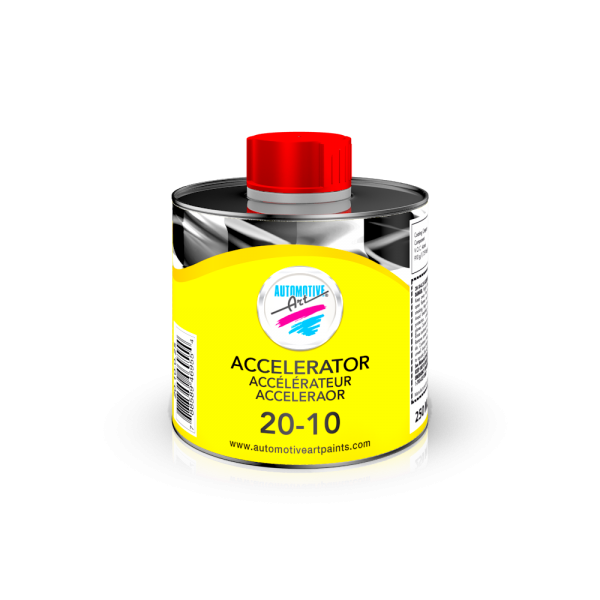 Automotive Art Accelerator 20-10 can be added to any of our 2K products to speed up the drying process. This product allows finishes to be sanded, polished or refinished quickly, as it dramatically reduces the drying time. 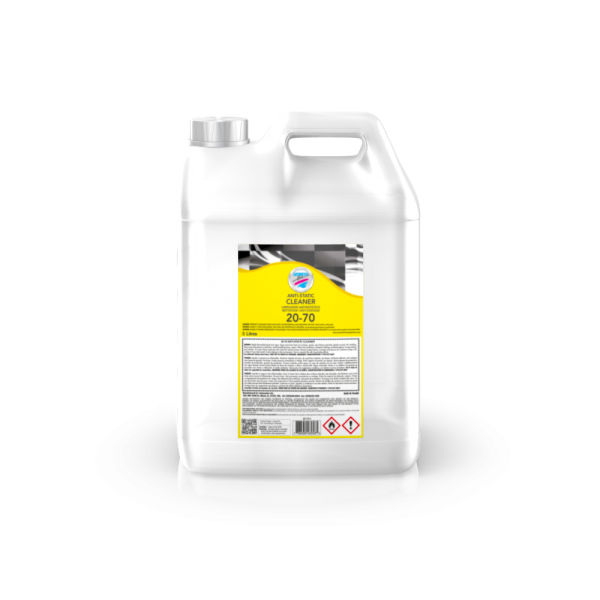 Automotive Art Anti-Static Cleaner 20-70 is water based and meets low VOC regulations. It ensures the removal of dirt, road tar, grease, wax and oil from any surface without leaving a film residue. 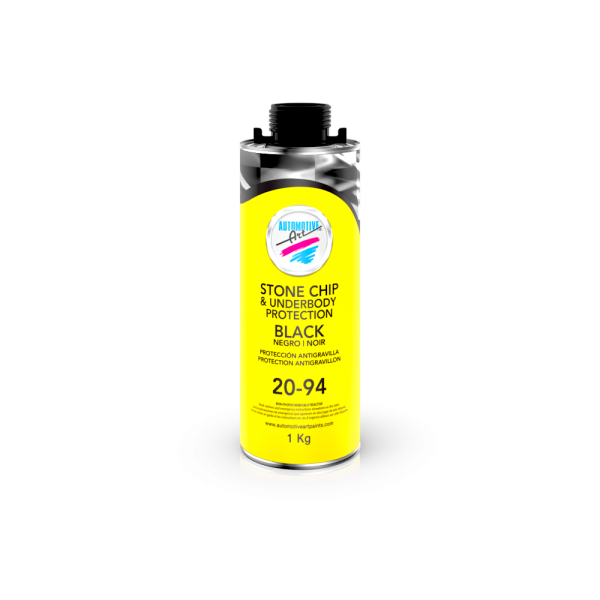 Stone Chip & Underbody Protection 20-94 is a 1K Solvent Stone Chip & Underbody Protector that can be applied to epoxy primer, polyurethane fillers, hardened paints and metal sheets, protecting them from corrosion.